Eliminates the need of an ICD-10-CM code book as all codes and guidelines are contained within its easy-to-use, clinically-focused interface. 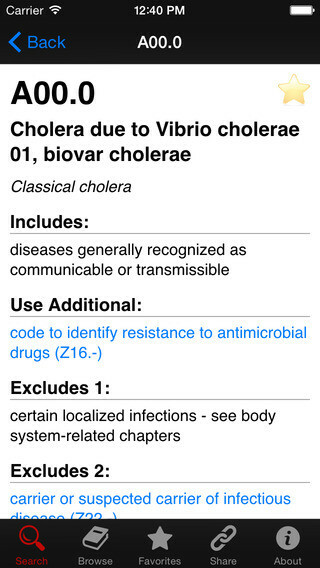 Developed by the leading ICD-10 educator in the United States, the Precyse University ICD-10 Virtual Code Book app allows the user to enter clinical terms and/or disease/condition names to search for correct and specific ICD-10-CM codes without the use of a code book or encoder. 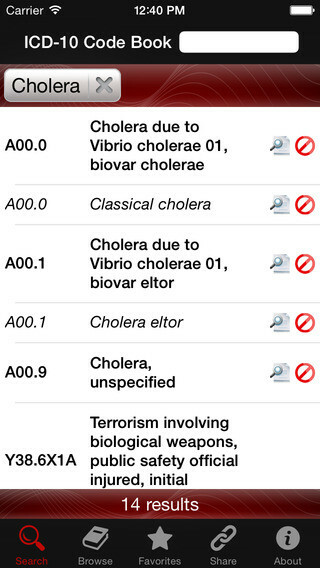 The app also provides detailed information on each code including guideline and convention information such as, Excludes, Includes, Code Also, and other rules governing code selection, while still offering this in the same easy-to-access view.